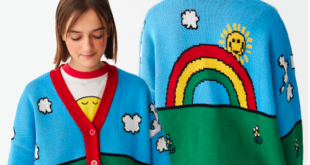 TLC has revealed a new collaboration between Peanuts and The Rodnik Band for a capsule clothing line. The range will include ready to wear dresses and separates, alongside sequin accessories and headwear. Prices will range from £29 up to £300. 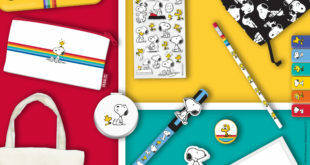 The specially designed prints will mix iconic Rodnik symbols with the Peanuts gang. These include the likes of fried egg prints, cartoon watermelons, Swiss cheese and other pop art references. "There is fun synergy between The Rodnik Band and Peanuts – humour is something that works through each Rodnik collection and it felt like a natural fit to bring the Peanuts character into the Rodnik world," said designer Philip Colbert in an interview with Vogue.co.uk. "They are truw icons of pop art and have survived from the Fifties through to now." Colbert continued: "It’s been really inspiring to work with The Licensing Company on the Peanuts Project. They have been a great source of ideas to help develop the project, and push creative boundaries and maximise exciting global platforms for the project."